You’ll find this route on the center column facing the lead wall and if you like surprise endings, you’ll dig this route. It has some real fun moves and some fun features. You’ll find a nice mix of pinches and buckets with just enough grit to make a nine. It has been too long. The last figure8 Podcast episode was published back in January 2017 so I thought a nice easy 5.7 route would be a good warm up for my day and for the Podcast. The last time I climbed this route, I was winding down and wasn’t able to climb it clean. This time around, I made it clean, but also realized again at top out that I was not only on the wrong rope, but the rope was also twisted. This is the same route from below climbed a while ago but this time around I’m climbing for a lead test. The first time I got on this route, I nailed it. Fast forward a few days and you would think with some rest and a GoPro I would be aces. Not so fast Arthur. Still working through the backlog of unedited clips and I found this route. Dug up another gem from the archive. 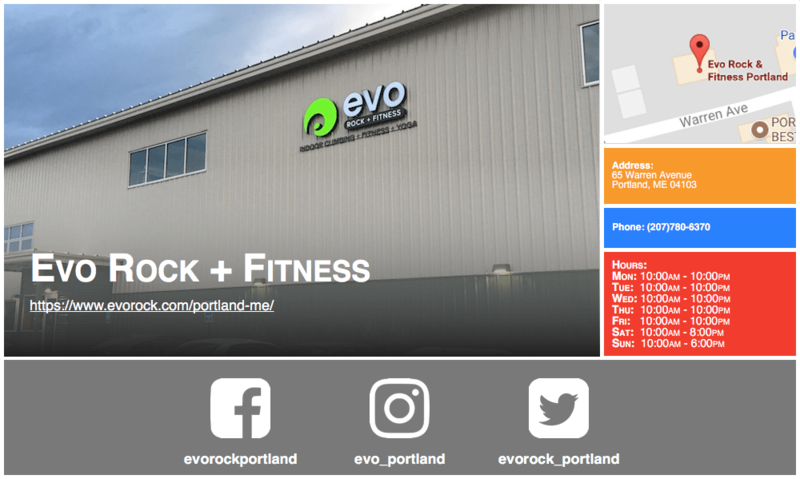 This one is a 5.10 from March of 2015 at the newly minted evo ROCK + FITNESS in Portland, Maine.